The crypto-currency market is fickle about where the "fast money" flows. And we've seen where that fast money is flowing recently, with almost all of the "alt coins" - the derogatory term given to anything not Bitcoin - suffering in terms of their market capitalization while Bitcoin continues to soar as it gains traction with traditional investors. But now XRP trade volume is seeing a massive re-resurgence amidst the Bitcoin chaos. Some of these new investors actually read! And what they're reading has lead them to a conclusion: "Bitcoin is not all that." XRP investors willingly go through periods of stagnant price growth because we know what the end-game is, and we see it happening in the other parts of the world where XRP investing is in high gear; and we know very well what will happen to the price as "proof of adoption" is reached in high volumes in the banking industry. 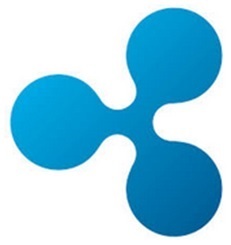 [Ripple is] "....Just a bunch of people crazy enough to throw caution to the wind and try to do something that's never been done before. For what it's worth, this community is incredibly important to Ripple's success and is a real motivator to many of the folks at Ripple. Thank you for all the support!" This is a nod to the high esteem Ripple places on XRP investors as they provide liquidity for the network, and it's also an example of how the company is keeping focused on their core mission to support us: by continuing to build the next global payments framework. In Japan, a consortium representing 80% of all banking assets in Japan has committed to deploying Ripple across all of its domains, putting that nation firmly in the category of Ripple technology's adoption. 4 The Japan market is very large, and that win alone has catapulted Ripple into the international spotlight. But Ripple, like all the "great" companies in other industries, isn't standing still and celebrating that win like it's the final leg of a marathon. No... the team at Ripple knows that the Japan consortium win is but the first five miles in their marathon. The long-distance marathon developers and architects at the company have now set their sights on a difficult task; entering the Chinese banking market. Chris Larsen was recently appointed to the Technology Advisory Board at HSBC 5 in Hong Kong, which handles a tremendous amount of UK and Chinese banking. In fact, HSBC is the biggest bank in Hong Kong, and not by a small amount; the next largest bank is roughly one-fourth as large! 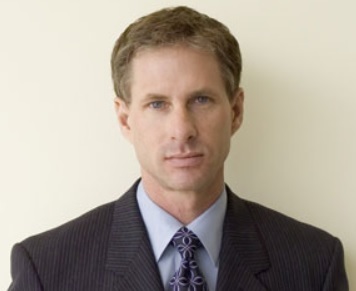 Along with Chris Larsen leading the charge, Ripple is now forming their Chinese market team as we speak, made up of their usual mix of all-stars when it comes to banking, fintech, and technology. "Ripple is looking for our first set of feet on the ground in China to launch and operationalize our team there!" How Big is the Chinese Banking Market? And it's not just the size of the banks' assets. China has seen explosive growth in the technology that's driving payments, and international transfers of value. Because of its status as the foremost worldwide banking powerhouse and industrial giant, technology adoption has been relatively quick among users, and the numbers are impressive. "China is a key market for a global payments network, which is why we are looking to build a presence there. Total cross-border [business-to-business] payment value involving China is $5 trillion annually, and the large Chinese e-commerce market currently lacks a highly efficient and low-cost solution." The pursuit of the Chinese banking market is a herculean task for Ripple, but we know they're up for the challenge, as that's what they've done time and again; completed what others have thought impossible! I can't wait to see who's on the China team for Ripple. Given what they've done already, I'm sure it's going to be an all-star cast of fintech geniuses that will focus on problem solving and creativity at a level that leaves all of their contemporary competition staring at them from behind the front lines. It's time for all the right moves again, and fortunately for those of us investing in XRP, that's what Ripple does best.